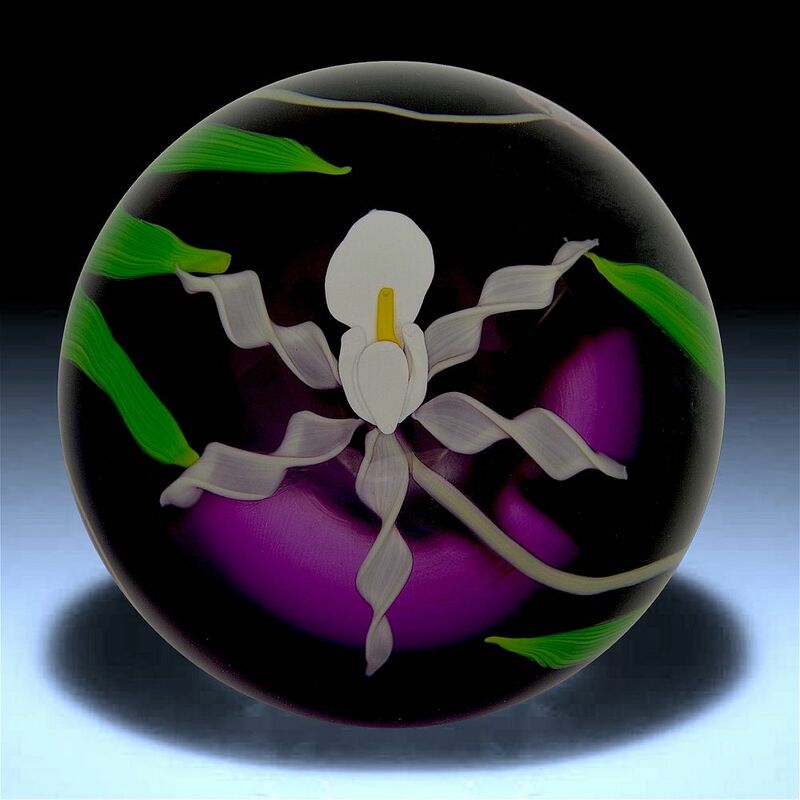 This lovely large purple torchwork paperweight was made by Michael Hunter for Twists Glass in 2006. The torchwork consists of a white orchid in bloom in the centre of the paperweight rising from its stem and leaves on one side with an orchid in bud with its stem and leaves on the other side. It has Mike's personal "MH" silhouette cane in one side. The base is signed "M Hunter Twists 06 Trichophilia tortilis" and has an early Twists Glass studio label.